Healthcare Marketing: Your Hospital’s Mission or Brand? Great mission statements define the brand. Mission and brand should be the same. Examine your hospital’s mission statement. How long is it? How many words does it have? Do you fully comprehend it? Unfortunately too many hospital mission statements (like other organizations) are paragraphs that try to encompass everything the organization thinks has importance. But is it something that truly defines your brand? Is mission and brand the same? Scott Regan, CEO of Achieveit in an article appearing in Becker’s Hospital Review articulated this issue very well. He is correct in stating that great mission statements are the brand. Great mission statements are the basis for every decision, strategy and policy of the hospital. They are embedded in the hospital’s vision, values, strategy and operations. Great mission statements precisely define the brand. 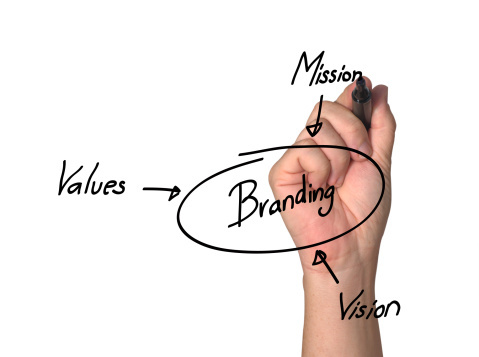 Mission and brand…are both the same. When the mission and brand are tightly woven together it creates a powerful organizational dynamic. “Creating the kind of mission-brand integration that elevates organizations to market dominance requires short, succinct mission statements – eight words or less – that resonate with both internal and external stakeholders,” stated Regan. In both of these cases, the mission statement is succinct and clear. It goes to the essence of who the organization is and the statement easily defines the purpose of the organization. The mission and the brand are exactly the same. It leaves very little room for ambiguity about who the organization is and what it does. It defines what you do every day. It’s not easy to define your organization in eight words or less. To do so, requires you to strip away all the stuff you think is organizationally important to concentrate on the core essence of the organization. To do so means every employee can know and understand the mission and how their job contributes to that mission. It clearly defines, to those inside and out, who you are. It allows employees to live the mission and live the brand. And when that happens it translates to your external audiences knowing and experiencing your brand. Is it brand or mission? It’s the same!! !